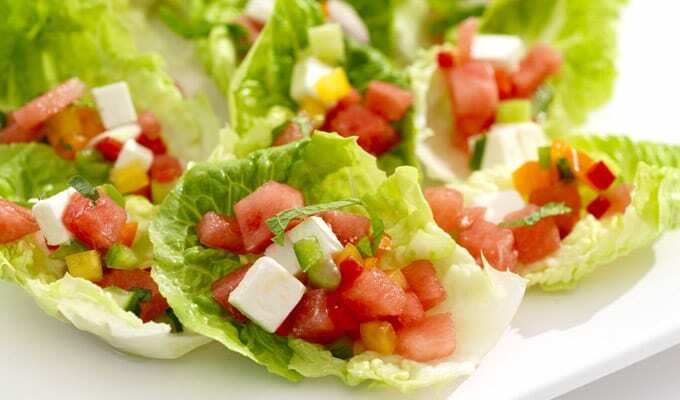 Melons are great for healthy summer entertaining. 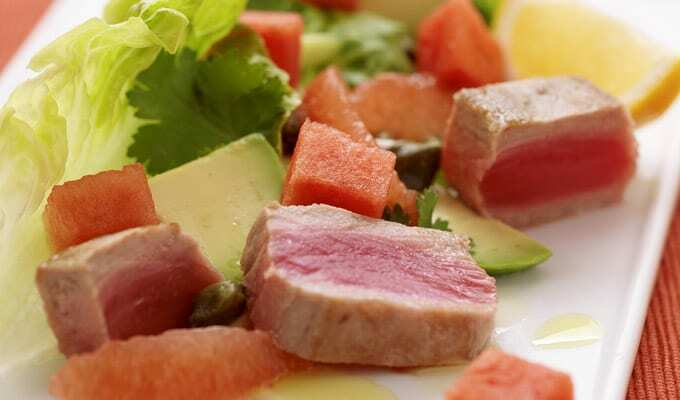 Whether you’re having a family barbeque on the beach or hosting a formal dinner in your home, our delicious melon-inspired dishes are sure to complement any occasion. 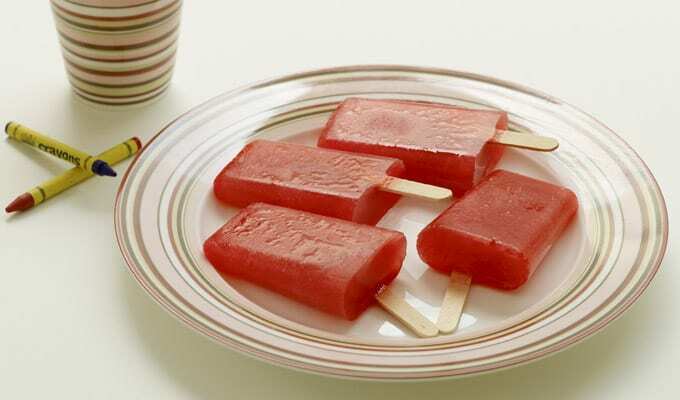 Hassle-free family meals are only a melon moment away. 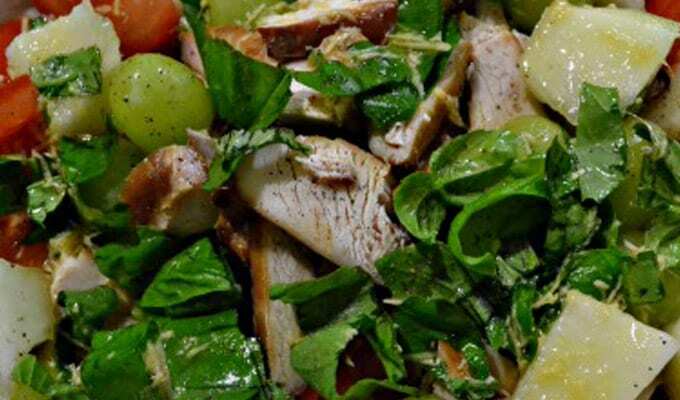 Ideas for quick-and-easy, nutritionally-balanced family meals will save you time and energy, and leave your family feeling satisfied and happy. Refreshing summer cocktails featuring the delicious taste summer melons. Easy to follow recipes for mocktails or that special drink for adults. Fresh melon recipes are easy to follow and a lot of fun to prepare, so why not make a juice or smoothie with your children? 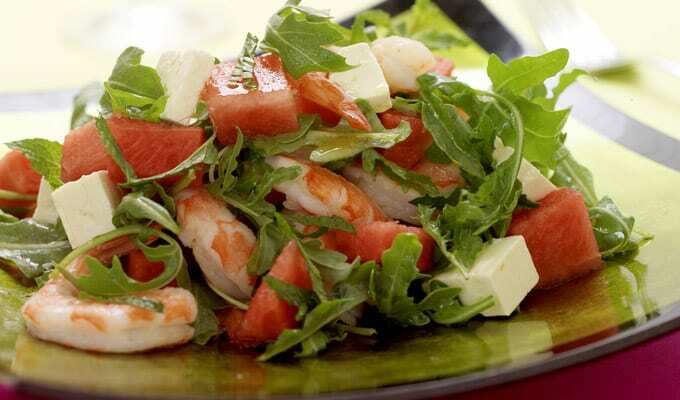 ¼ cup extra virgin olive oil 2 tablespoons white balsamic vinegar 750g cooked prawns, peeled, tail intact (16 large peeled prawns) ½ a small watermelon, seeds removed, sliced (300gm peeled weight) 100g goats cheese or fetta, cubed ½ cup mint leaves 1 bag of baby rocket Mix the olive oil, vinegar and salt and pepper. The Australian Melon Association Inc. Copyright 2019 © Australian Melon Association Inc.